After losing the Battle of Dry Wood Creek, Free-State leader and Colonel James H. Lane guides his 3rd, 4th, and 5th Kansas Volunteers in the sacking of Osceola, Missouri. 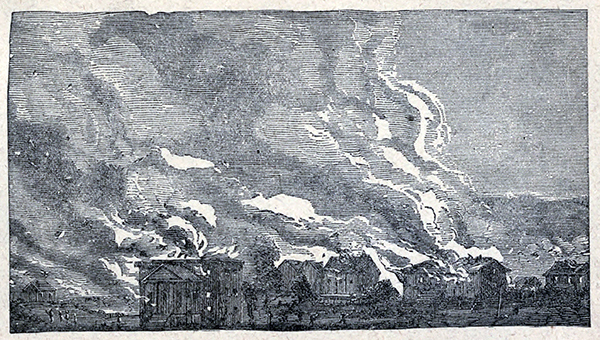 The unauthorized "jayhawker" attack results in the destruction and plundering of much of the town, including the summary execution of nine of its residents. Two years later, bushwhackers under command of William Clarke Quantrill cite the Sacking of Osceola as justification for their raid on Lawrence, Kansas. The city of Osceola never fully recovers from the blow.